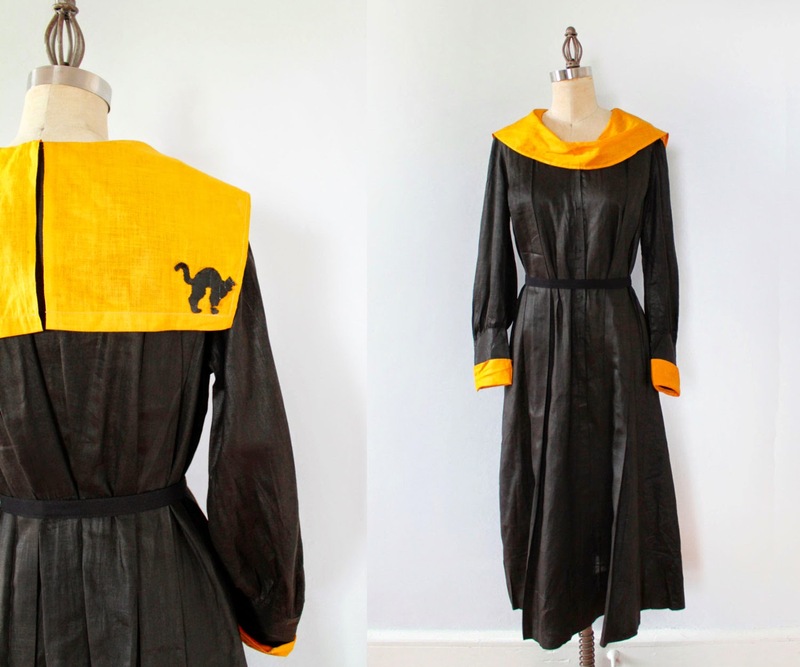 Super rare and extremely awesome early 20th century Halloween dress. 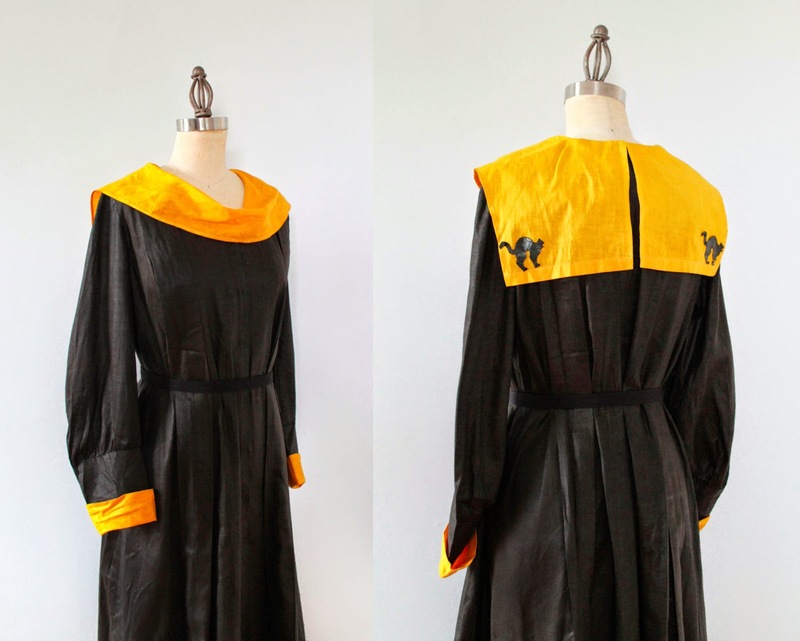 Fashioned in a sturdy and wearable black cotton with yellow-orange contrasting middy collar and cuffs. 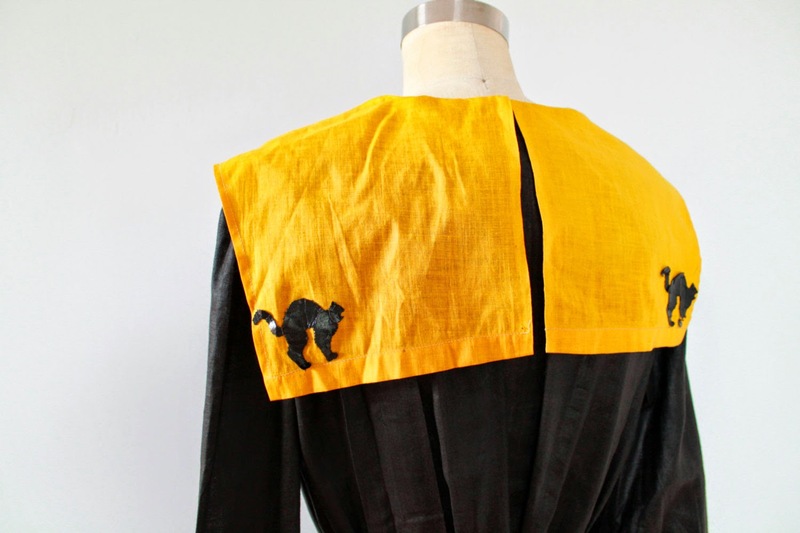 Paper black cat appliques adorn the collar back! 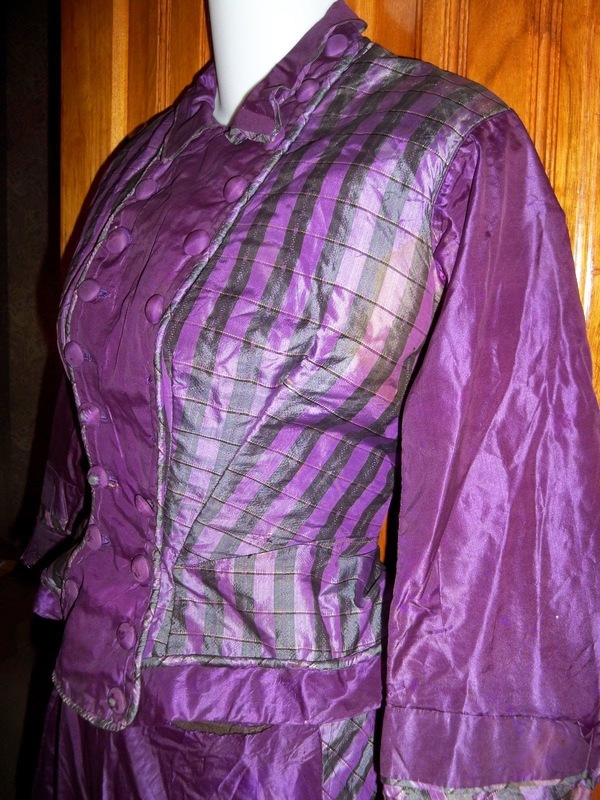 Long sleeves are Edwardian in shape with gathers above the wrists. 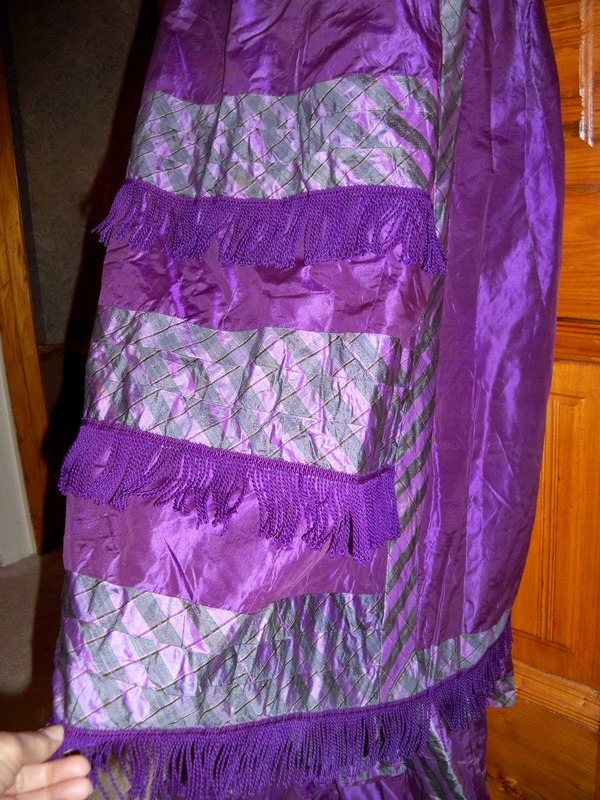 The dress body has rows of sewn down pleats and lots of fabric to fit a variety of sizes. 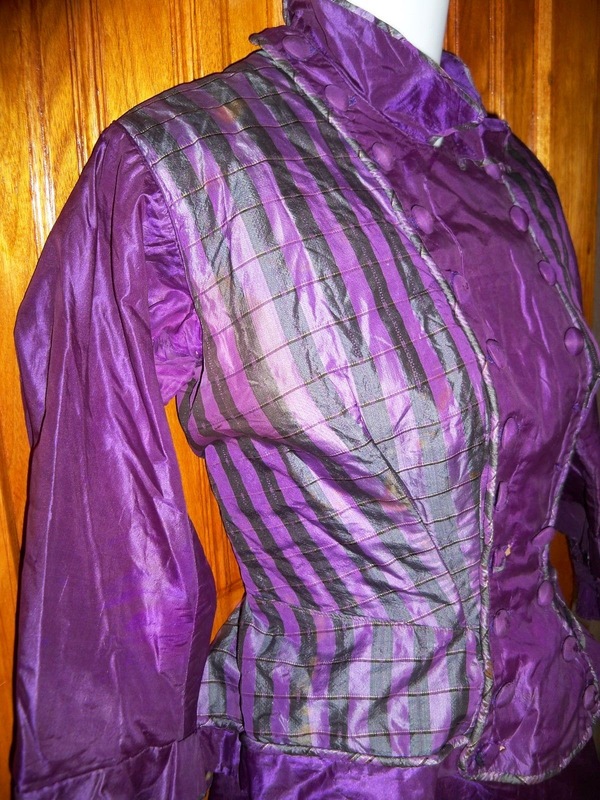 Shown belted (belt not included) and unpinned on a medium sized dress form. Hidden hook and eyes down the front. Lovely flattering shape and a style that would be wearable as a dress and not just a costume. Will fit a variety of sizes. Condition: Excellent for its age. Very sturdy and wearable. 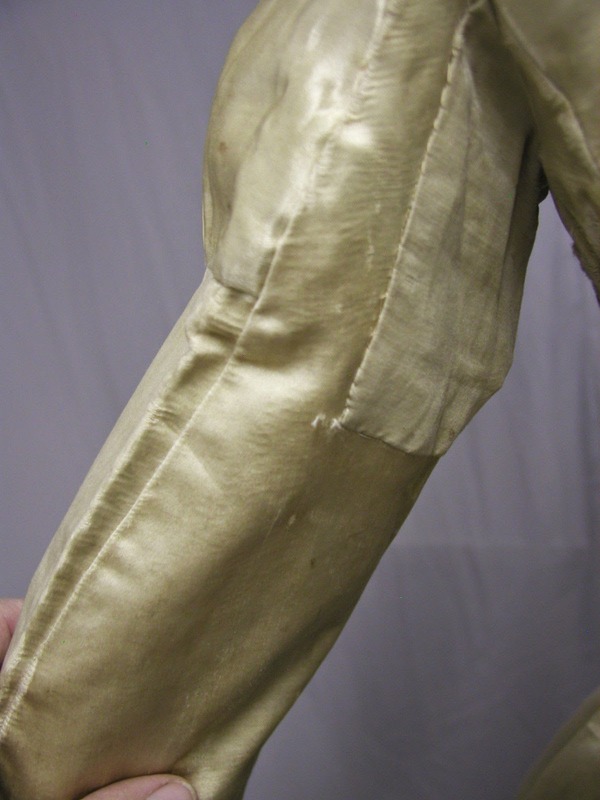 The appliques show wear and breaks, but this is normal for any antique halloween costume. 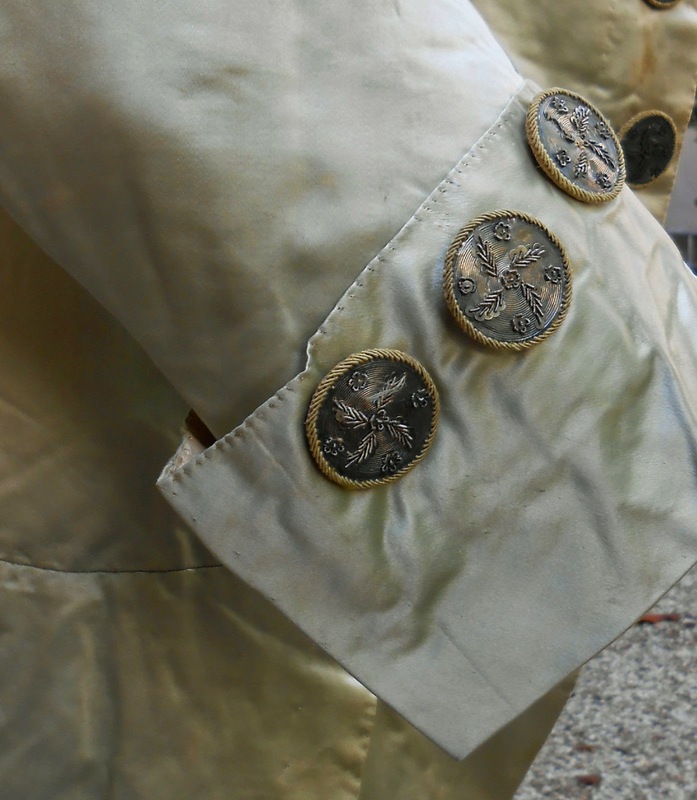 Some discoloration spots on the cuffs. 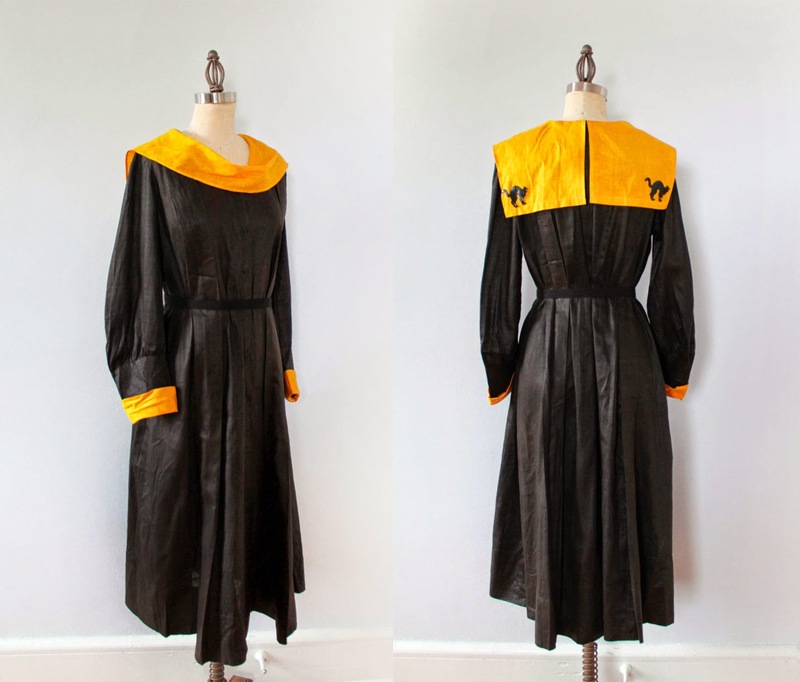 Again, anything over 50 years old isn't "very wearable". Just like us, fabric gets old. It just doesn't show it quite as visibly until you try and make the fabric move. 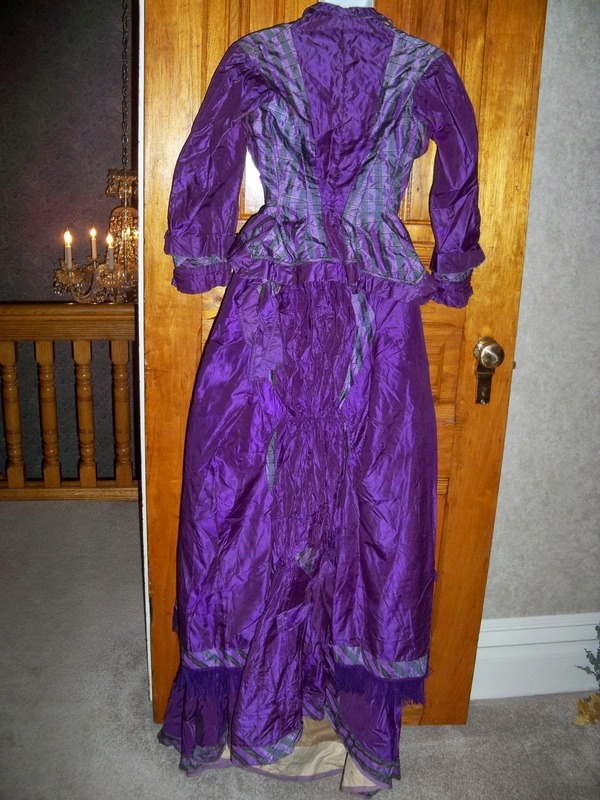 Based on the neckline and sleeves, the style is probably 1910's. 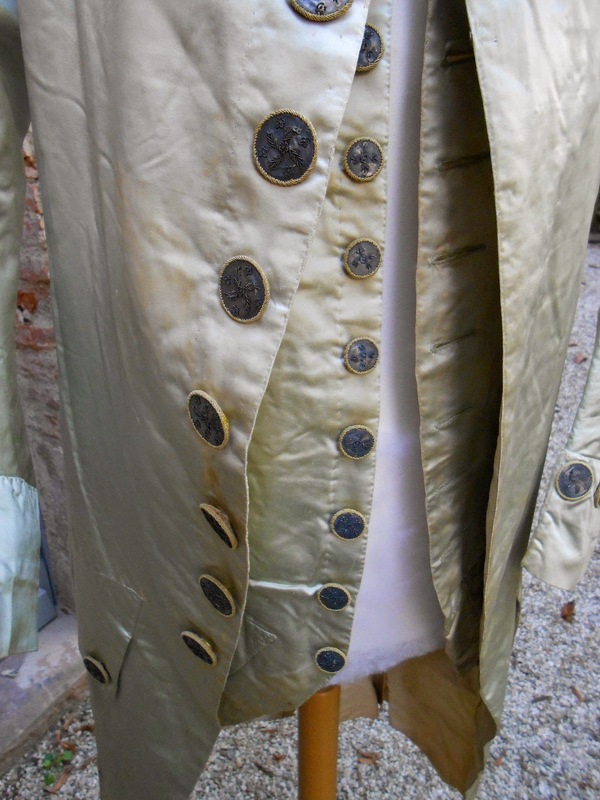 ANTIQUE COAT AND WAISTCOAT, ca.1785. 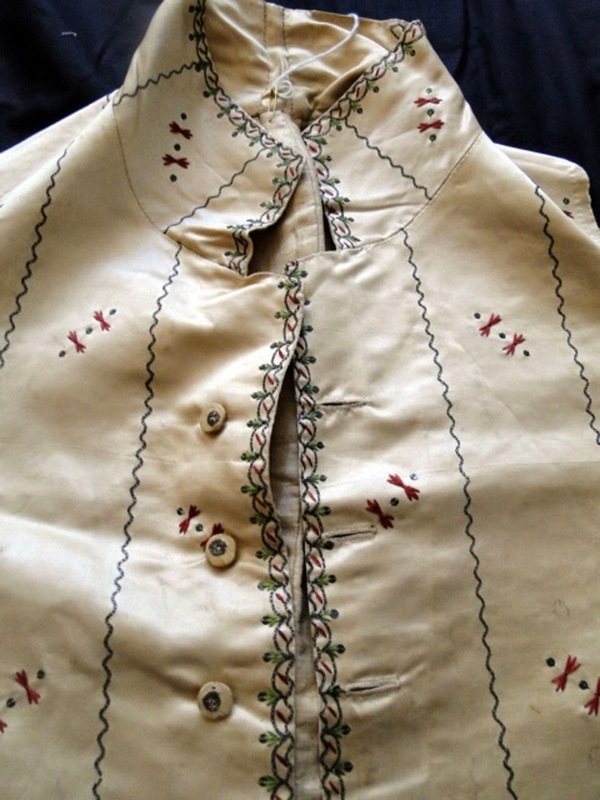 2 buttons loss on the waistcoat. 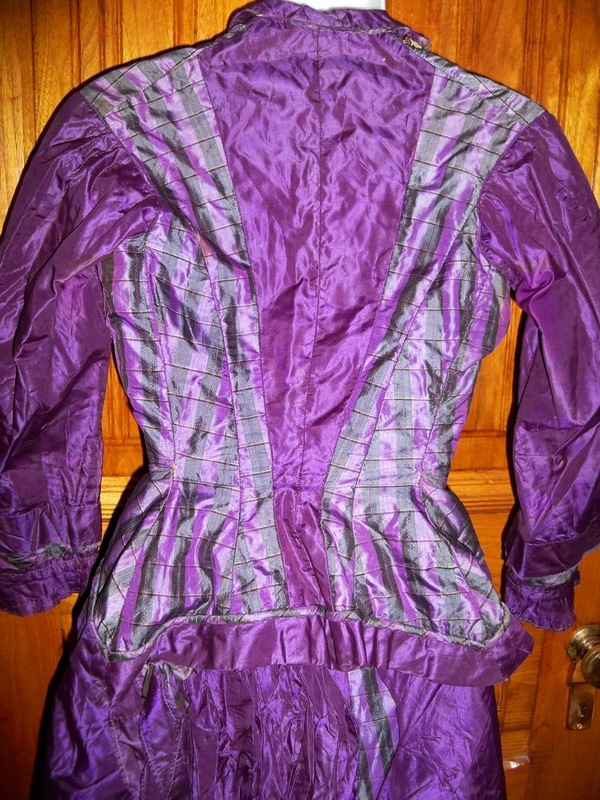 The satin is in good condition but all the 2 pieces are with spots here and there. This suit is perfect for pattern. The buttons are very interesting. 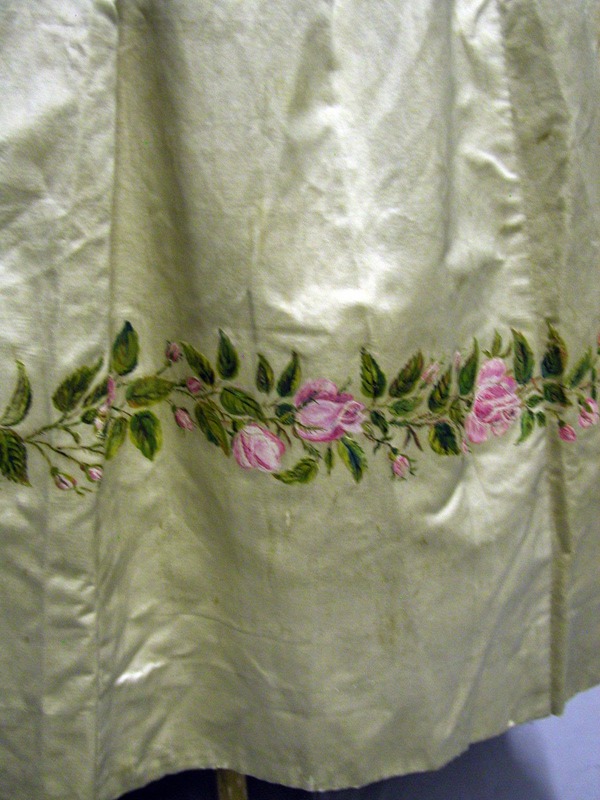 I added 2 picture of the lining. 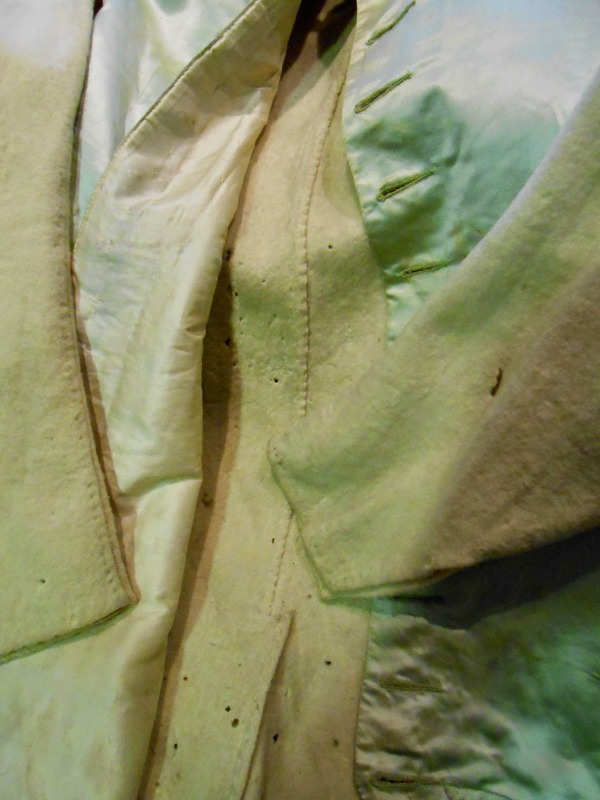 The coat and the waistcoat are lined with silk and "wool". On the last picture you can imagine the color of the suit. I repeat that this suit is very interesting for buttons. He have spots, stains and other. I kept staring at this and thinking "I really don't think it's 1780's". I couldn't figure out why (men's clothing sometimes confuses me) until I found a similar outfit at the Met. That would explain it. So 1760's. 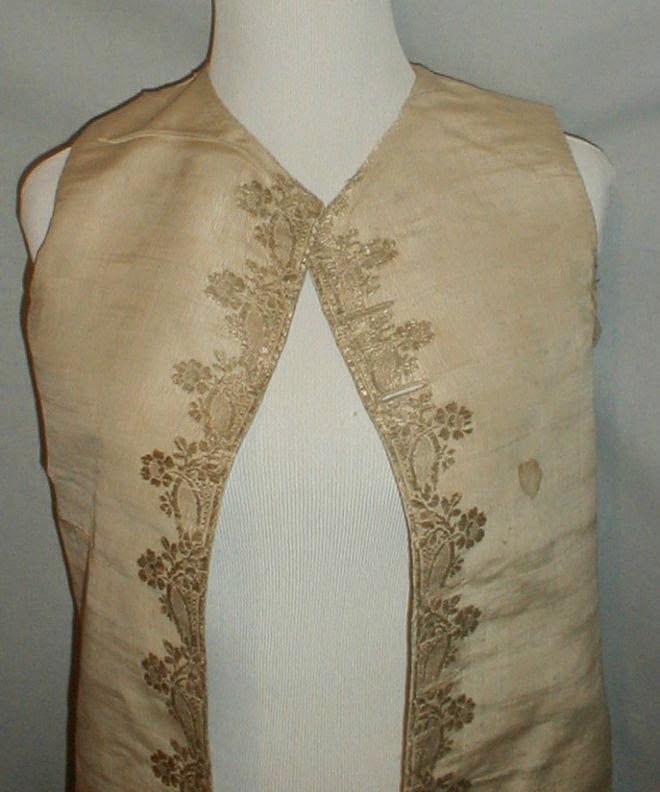 Early gent's silk satin waistcoat with high neck collar,silk embroidery and with tiny sequins in the design. 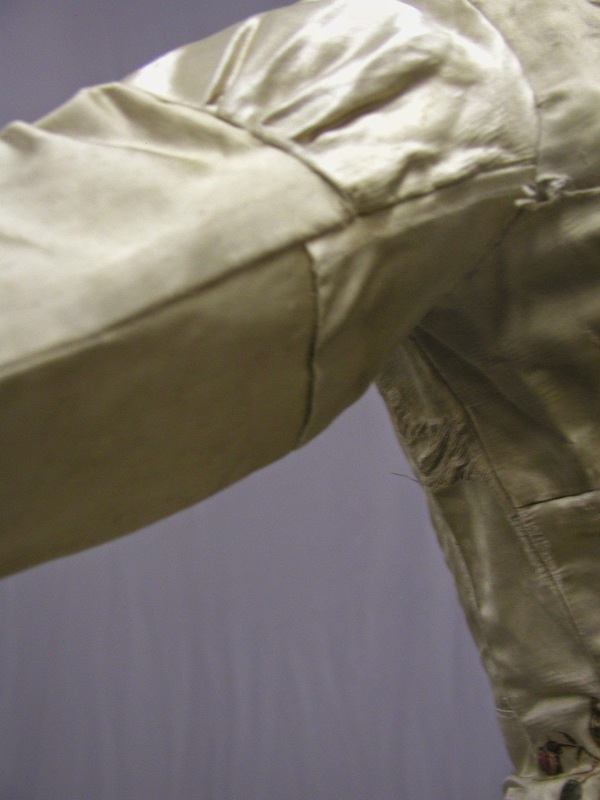 In mainly good strong condition,there are two wear areas near armholes and soem age stains.a few very small openings on back and some fraying on edge..Overall good and strong. 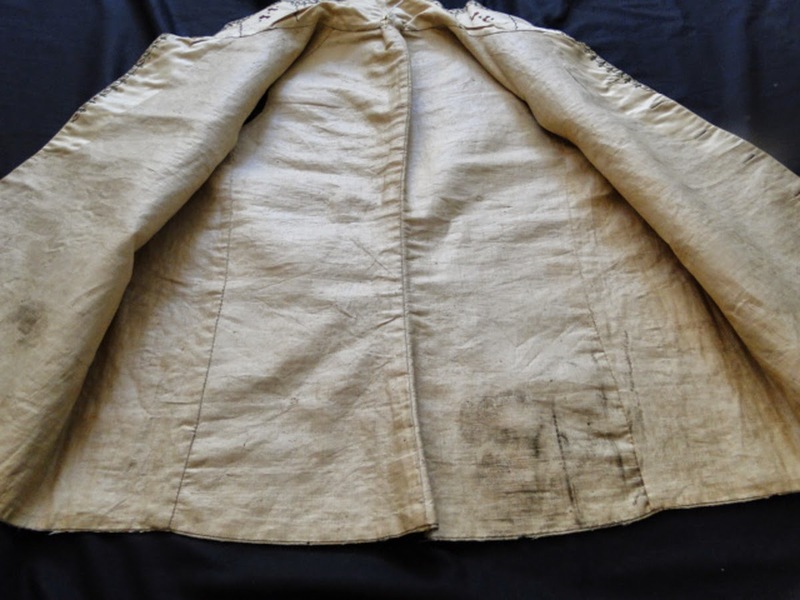 Inner lining very good, some dark age marks.All items we list need to be cleaned. 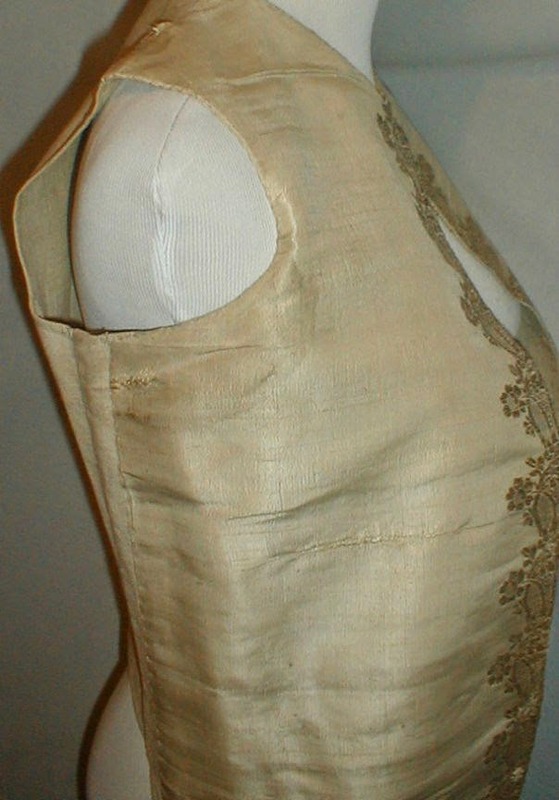 A rare 18th Century 1740-1760 beige silk and metallic gold vest. The vest is all hand stitched. 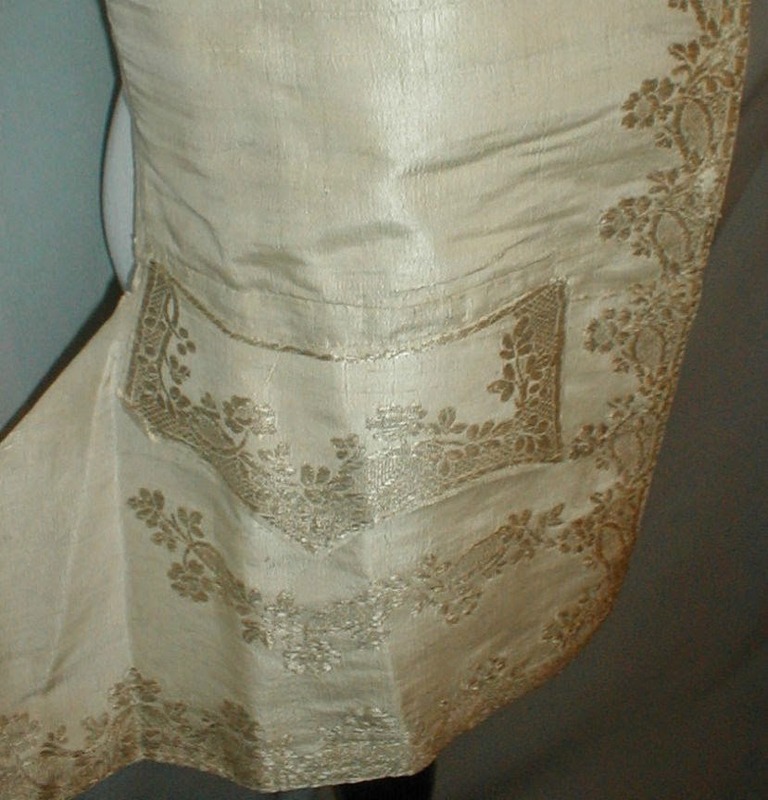 The front of the vest, side faux pockets and hemline have a woven gold metallic floral pattern. The faux pockets flare to the side. 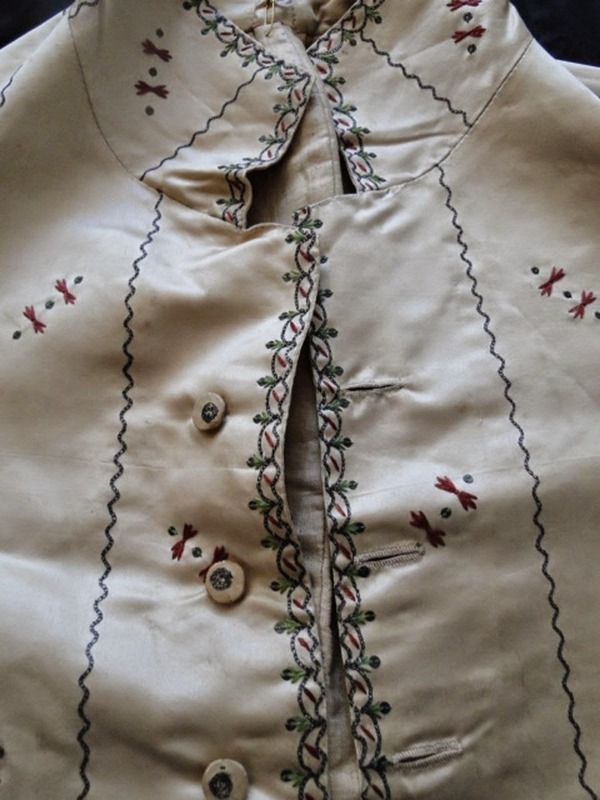 The front has hand stitched button holes. The buttons are missing. 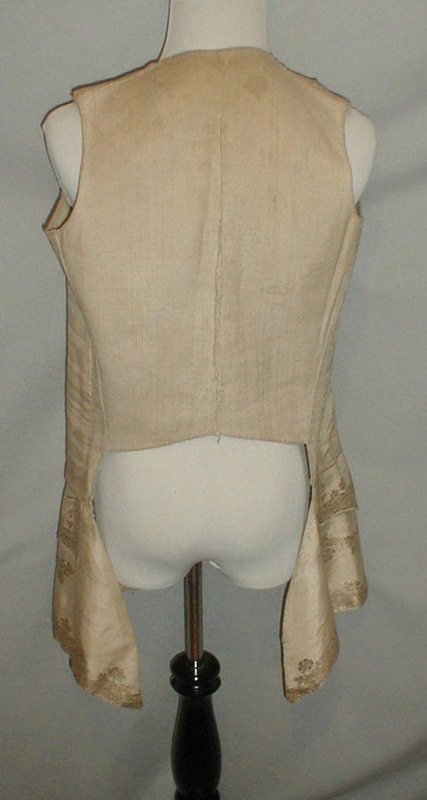 The vest is backed and lined with linen. The vest is in sturdy condition. There is a nickel size age spot on the front and one on the shoulder. 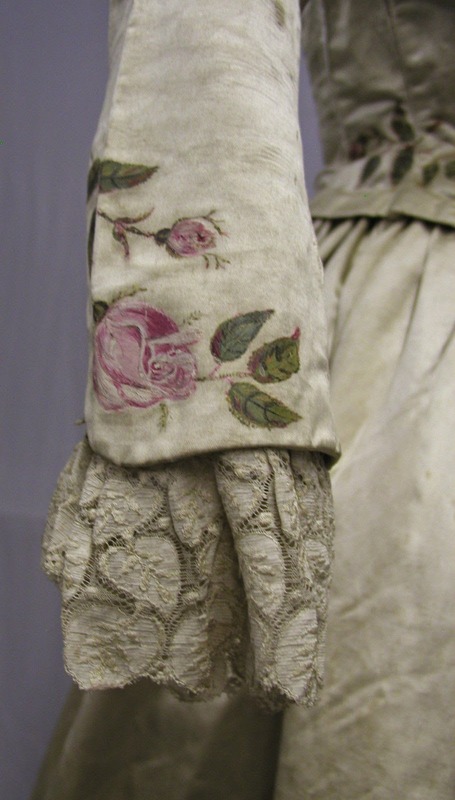 There are a few period mends that are hand done. They measure from 1 inch to 9 inches. The longest one is over the faux pocket. There is some mild underarm discoloration. (See photos of age flaws.) Chest 34 Waist 34 Length 30. 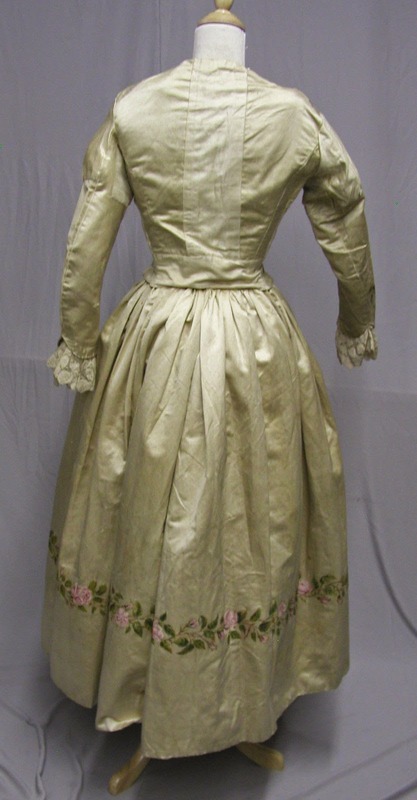 This outfit was spectacular when worn in 1867. Unfortunately, it has not survived in that same spectacular condition. 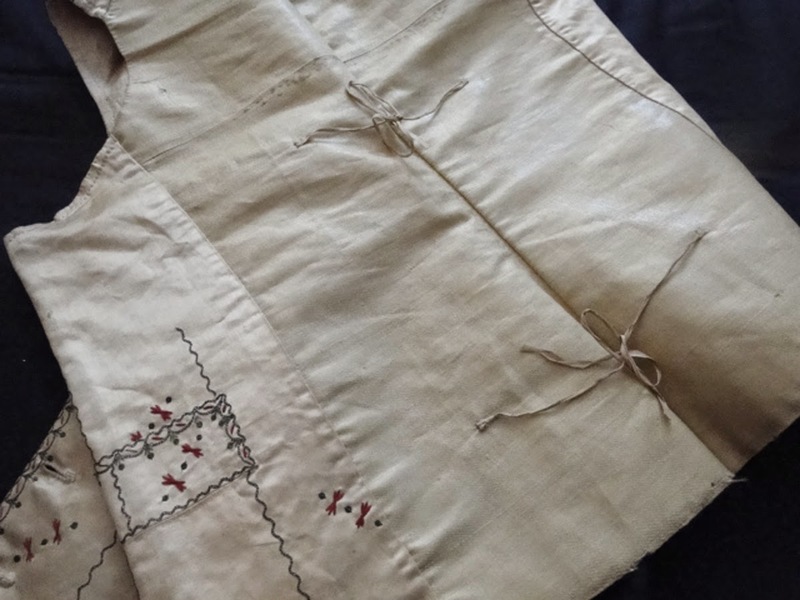 It is suitable as a study garment or for making a pattern of, although it could easily be mended and displayed with its flaws. 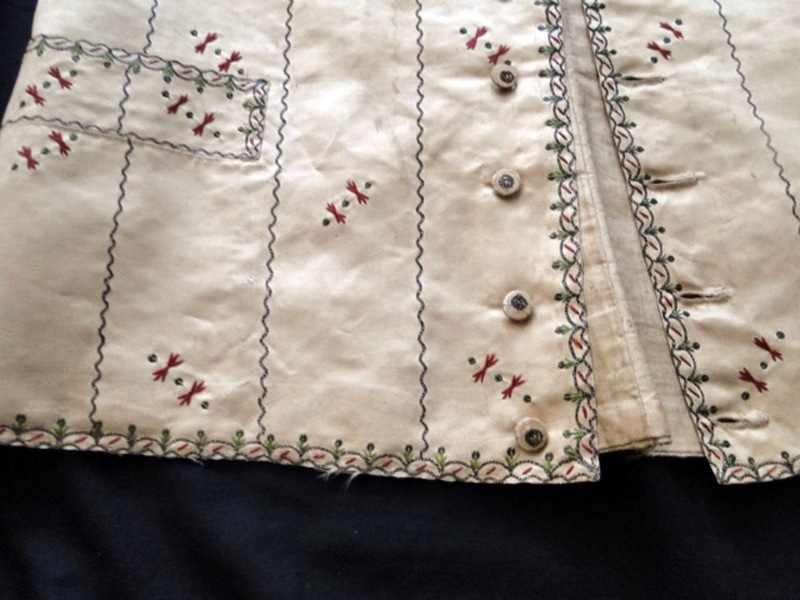 It is an unusual one-of-a-kind garment, and definitely worthy of preservation and study. 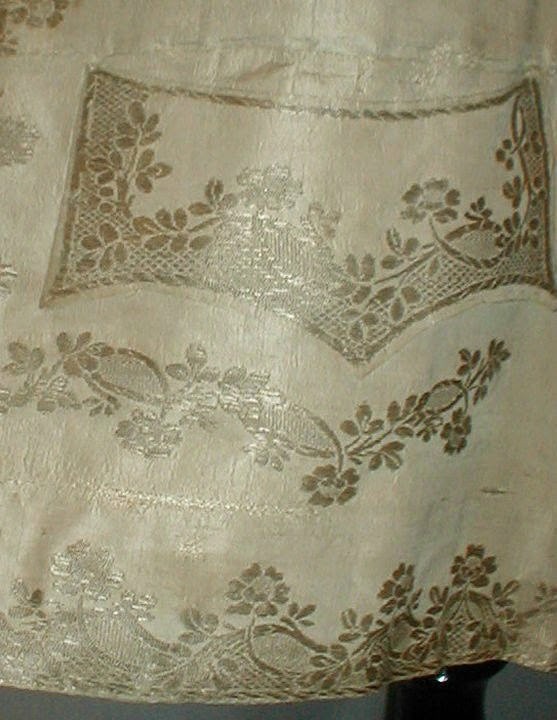 All hand-sewn of a light silver-gray silk(?) 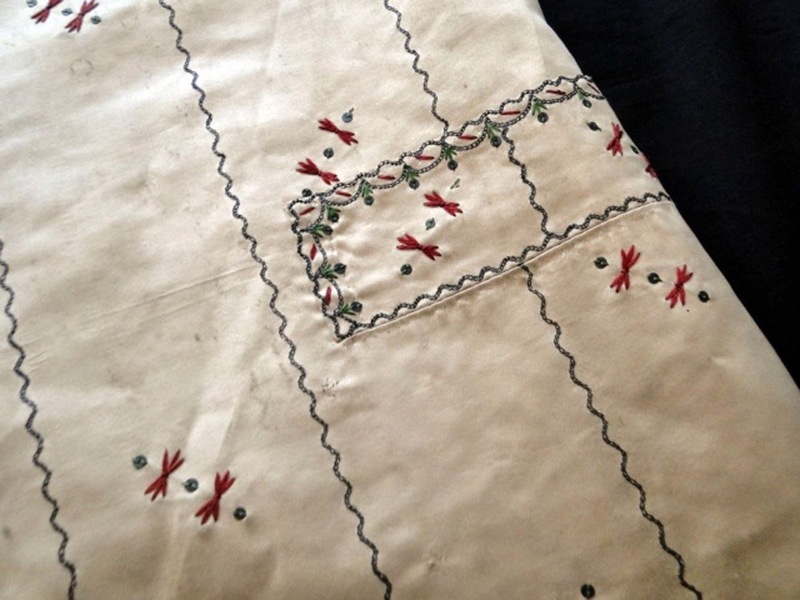 fabric with tiny black dots overall. On the reverse side, the fabric is a dark gray with light gray dots. 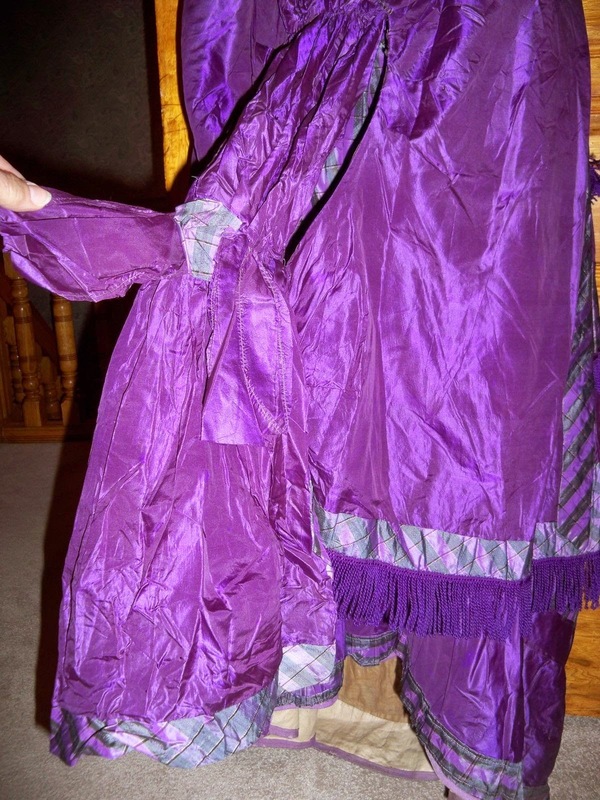 Both the dress and the separate matching coat display copious amounts of rich blue silk trim and edging, with the lower edges of both the coat and dress having a bastion shape that flutters in the wind or when walking. 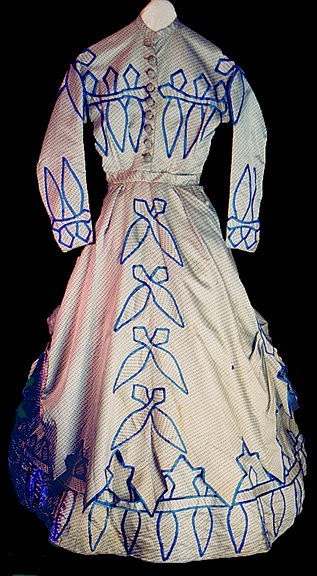 The bottom five inches of the dress is lined with horsehair to give it more body. 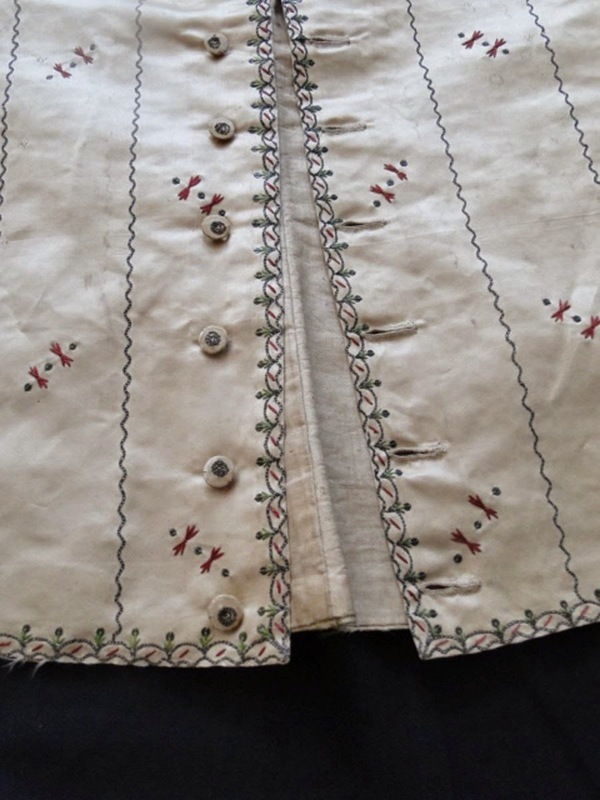 There are eight fabric-covered buttons down the bodice of the dress in front, and 19 fabric-covered buttons down the front of the coat opening, those on the coat having the addition of a sewn on star and netting design in blue silk thread. 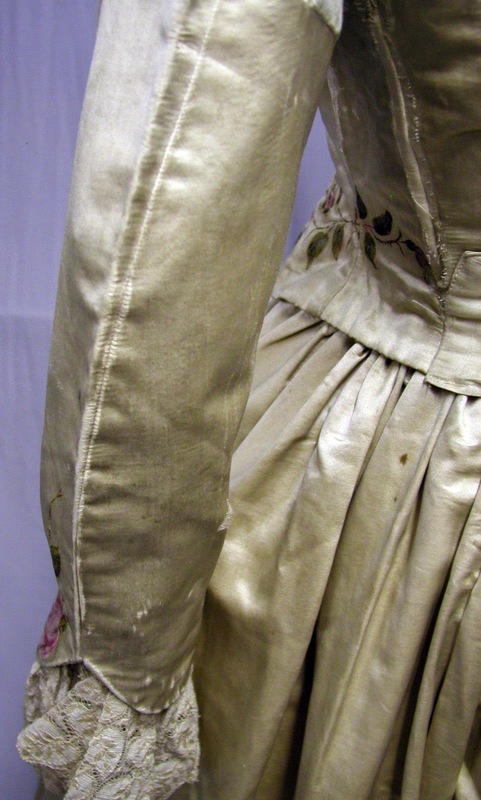 The buttonholes on both dress and coat are edged with a yellow ochre colored silk thread. 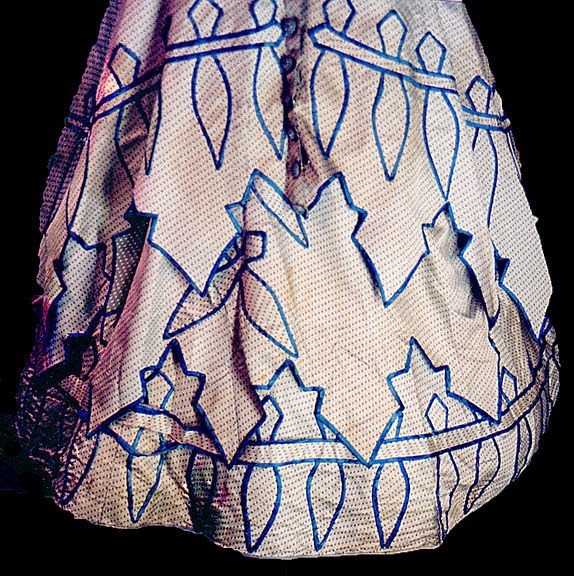 The skirt of the dress is gathered on each side in a little 'puff' and a large three-layered star, or flower, all trimmed in the blue silk trim, is near the bottom center back of the coat. There may have been more of these 'stars' that are now missing (?). CONDITION: Some of the trim has come loose and needs to be re-attached. There are misc. stains scattered about, including a half-inch ink(?) 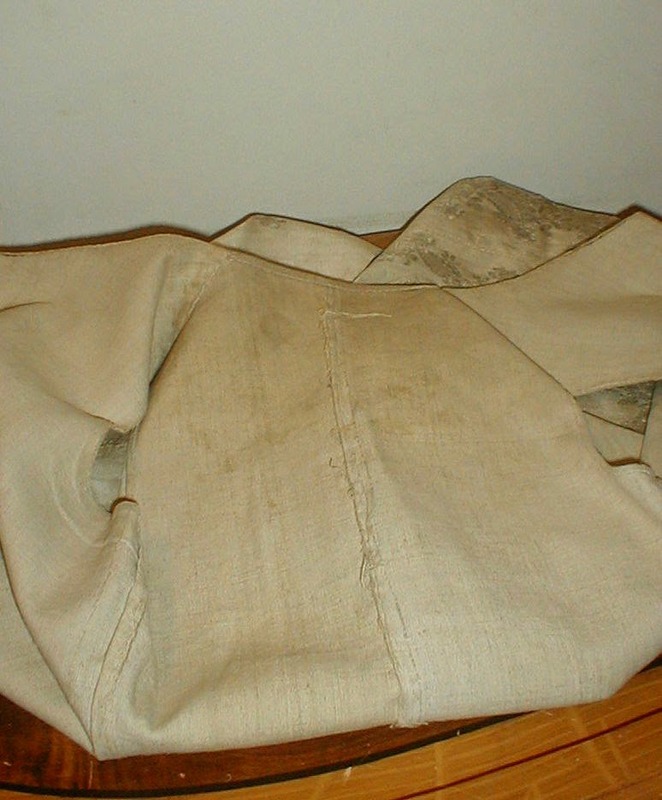 stain on the front of the dress skirt, and a larger area of very light yellow staining in the lower back. 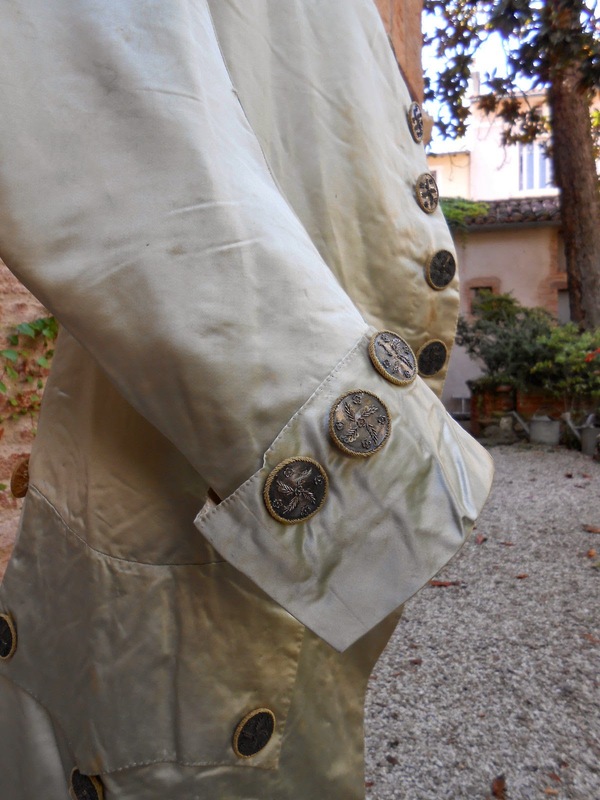 The fabric along the top of the shoulders of the coat, and to a lesser degree, at the elbows on the coat, is worn and has lost the silvery finish allowing the darker under-fabric to show through. 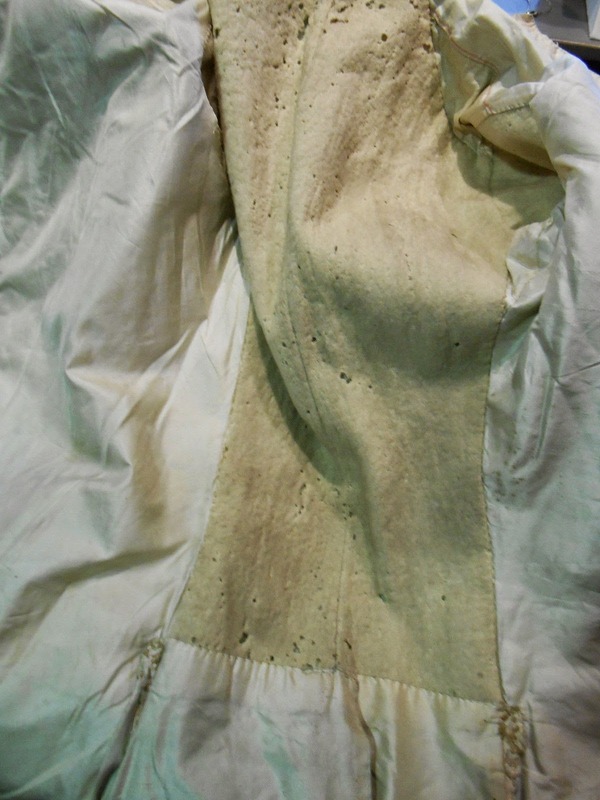 There are several other areas of this type of wear to the silver finish to the fabric. 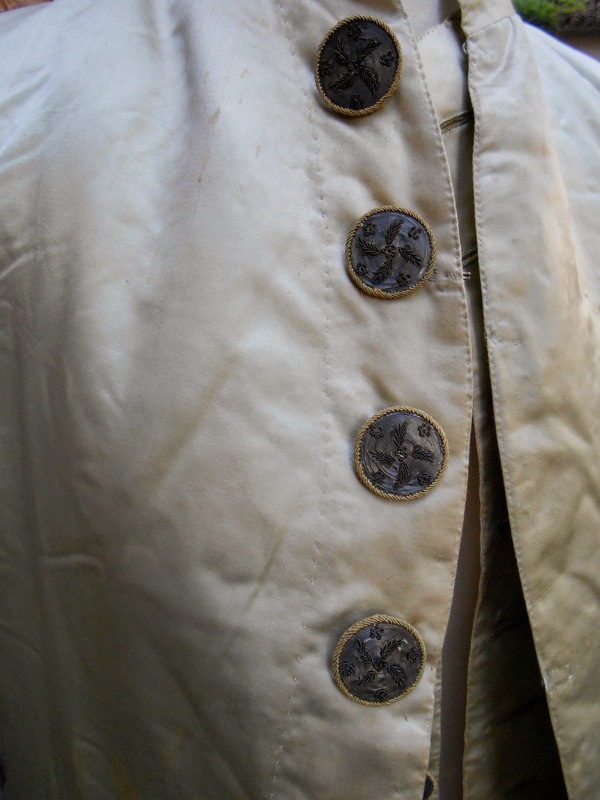 The shiny/silver finish on the fabric of many of the buttons is worn, and the sewn-on blue star & netting on many of the coat buttons are worn or have damage. 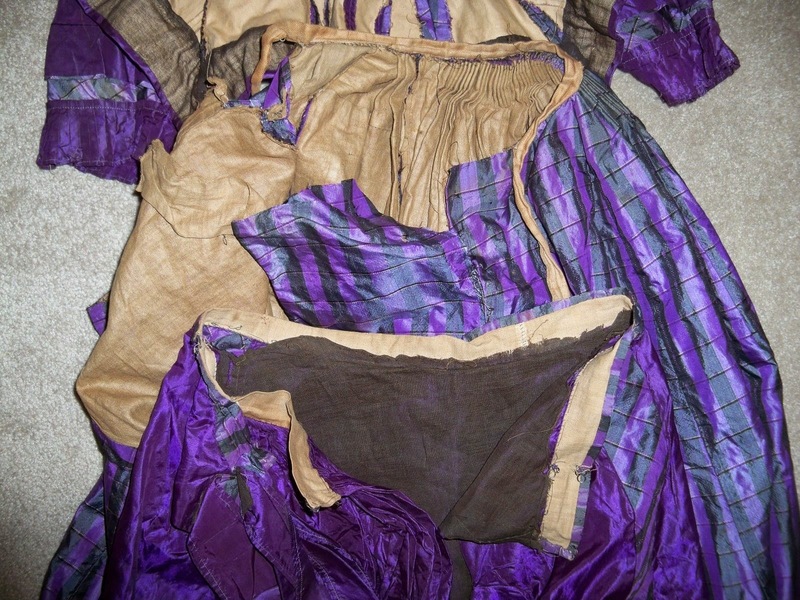 Much of the black silk lining of the coat is missing, and some of the tan lining of the dress is damaged. 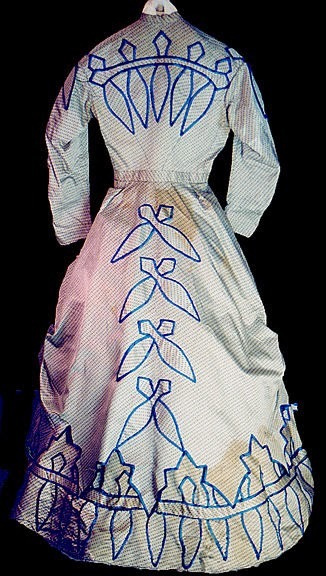 There are perspiration stains under the arms of the dress. 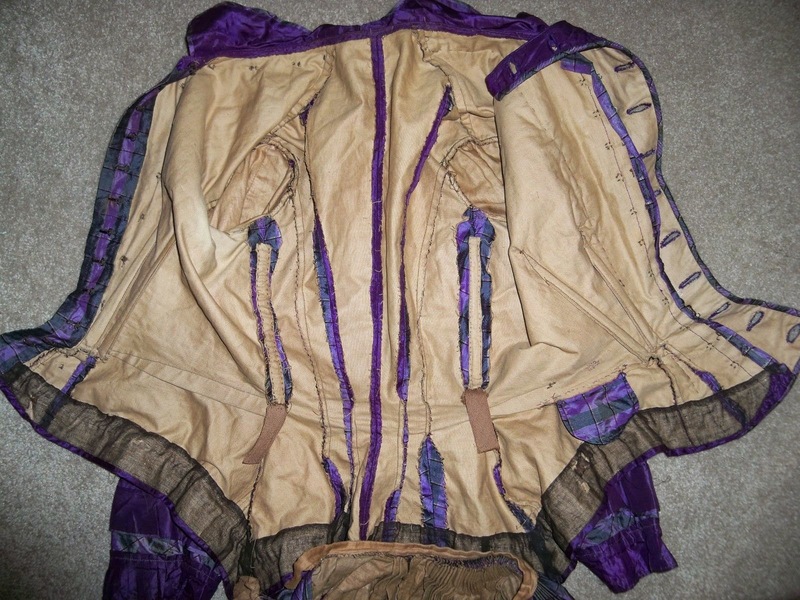 While I have tried to accurately describe the condition of this unique garment, I may have missed some things. 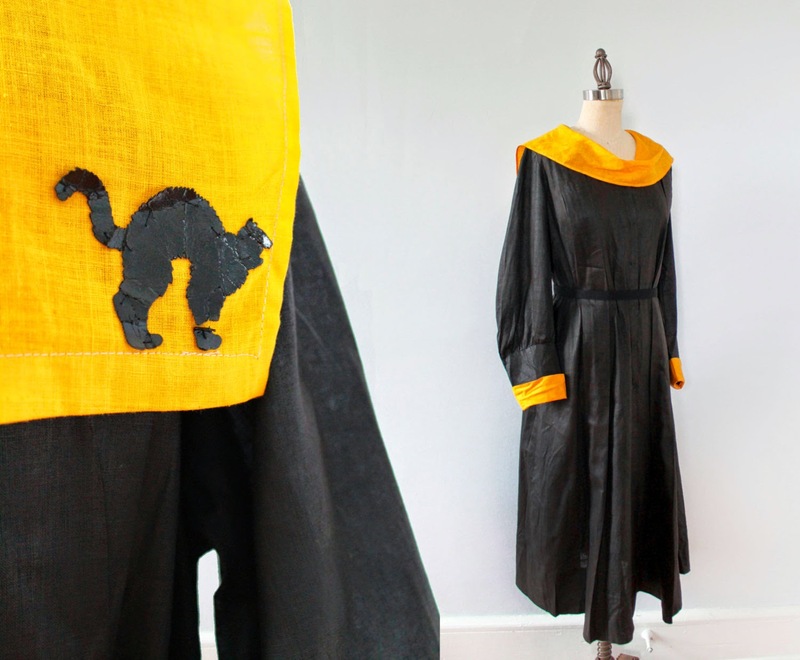 I sell it primarily as a garment to study or to make a pattern of. 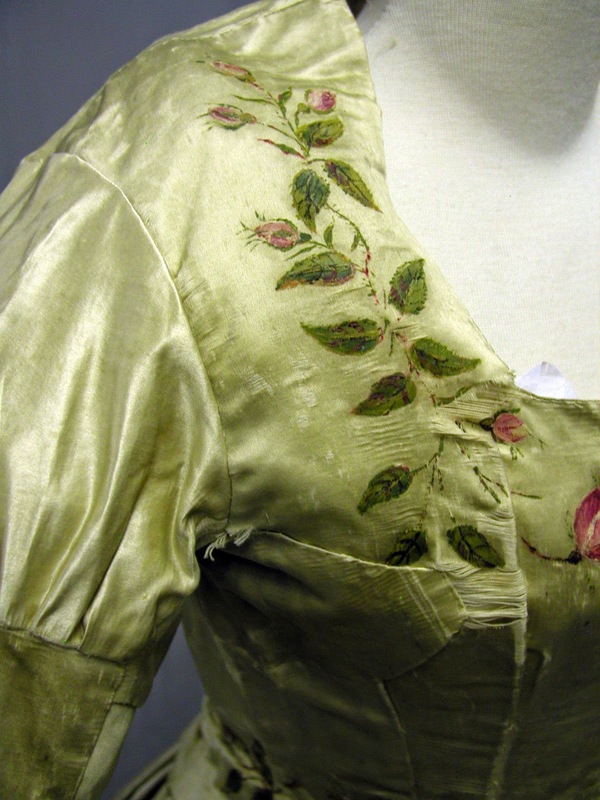 A: As with most dresses of this period, it is of a smaller size. The overall length from shoulder at neck to bottom of dress is 54 inches. The waist is 24 inches. The skirt length from bottom of waistband to bottom edge of dress is 38 inches. *giggles* I'm sorry, I can't get over the swords design on this dress. 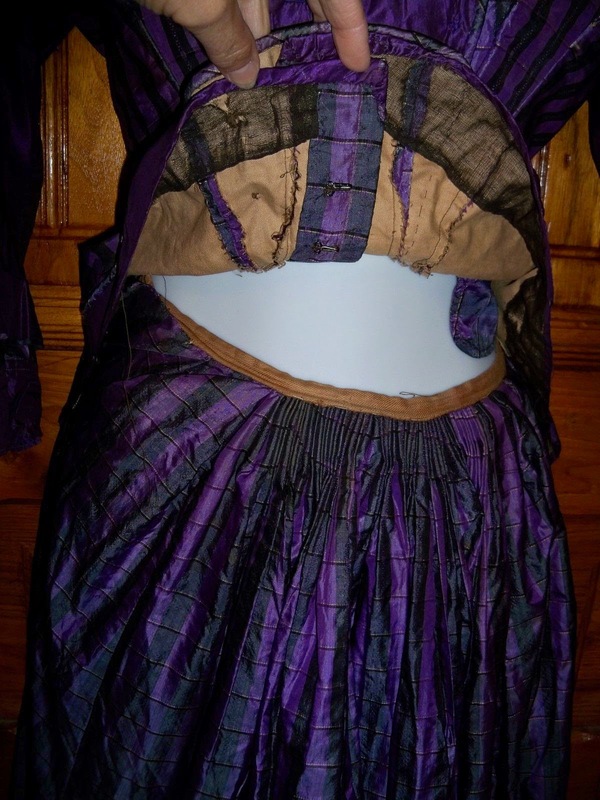 I'm so figuring out a way now to do this to a medieval outfit. Just because. 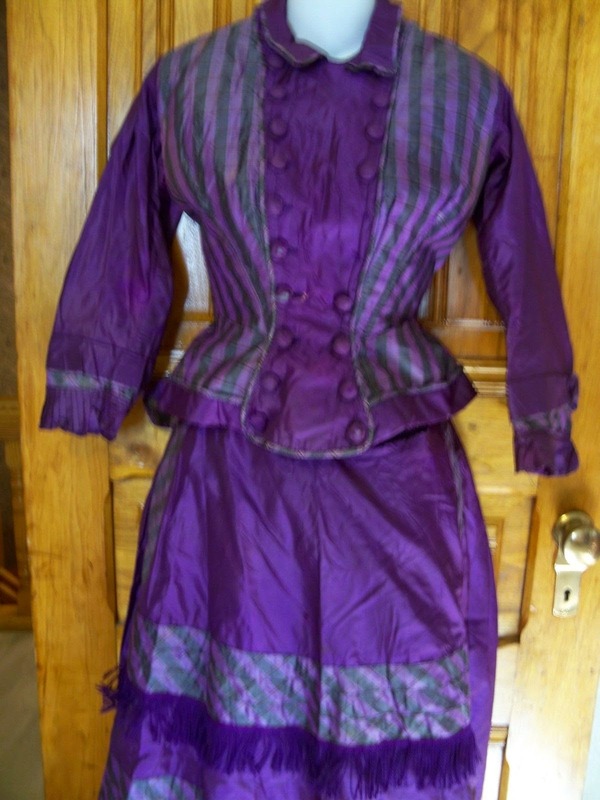 I'VE SOLD SEVERAL VICTORIAN CLOTHING ITEMS OVER THE YEARS BUT I THINK THAT THIS IS THE MOST STYLISH. I WONDER WHO THE LUCKY LADY WAS WHO WORE THIS 3 PIECE DRESS! THIS OUTFIT IS NOT WEARABLE DUE TO IT'S AGE. THE COLORS ARE STILL VIVID. VERY FEW STAINS. I WAS CAREFUL & DID THE BEST I COULD WHEN ATTACHING IT TO MY MANNEQUIN, USING CLOTHES PINS. 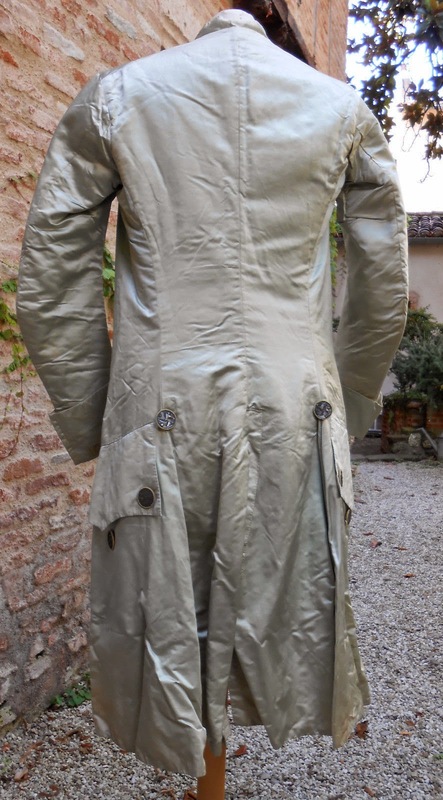 THE JACKET IS IN OVERALL VERY GOOD CONDITION. THERE'S TWO MISSING BUTTONS. SOME BUTTONS SHOW MATERIAL WEAR. THERE'S A SMALL POCKET ON THE FRONT LEFT SIDE. 11 1/2" WAIST WHILE JACKET IS FLAT. THE SKIRT SEAM IS COMING APART AT THE WAIST AREA. 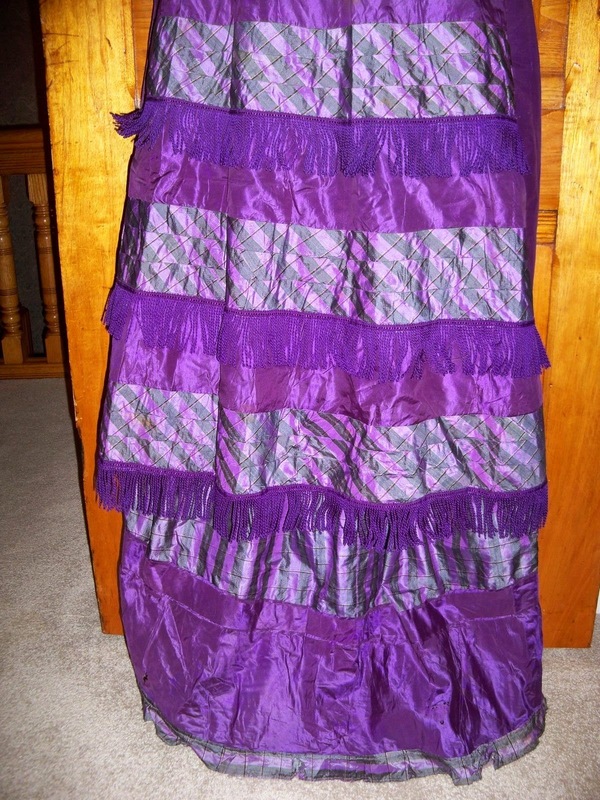 THE FRINGED APRON OVERLAY IS TEARING AWAY IN AN AREA ALONG THE WAIST SEAM. THERE ARE SOME SMALL HOLES ON THIS APRON. 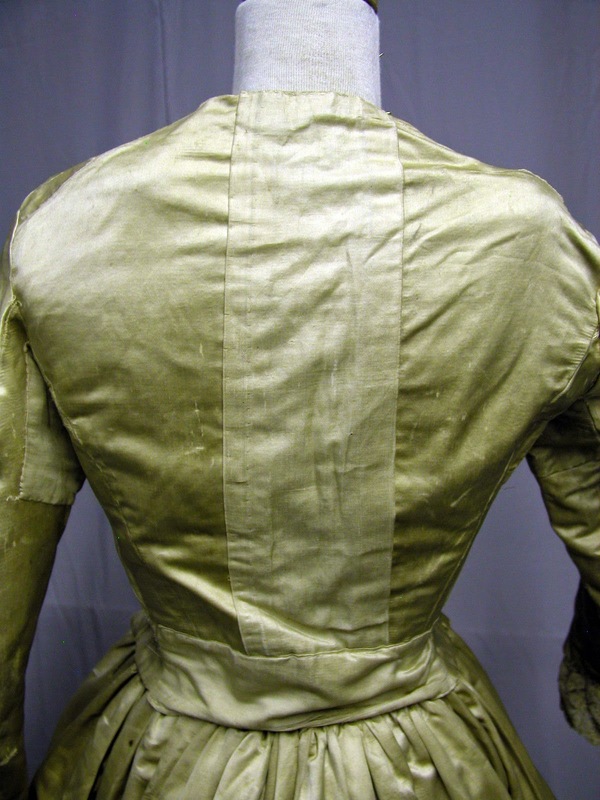 THERE'S TWO BOWS ON THE BACK (ONE IS THE BUSTLE) & BOTH HAVE BEEN PRESSED FLAT. THERE'S OTHER SMALL FLAWS, SUCH AS SHATTERING ON A FEW AREAS OF THE SILK FABRIC. SELLING AS IS. 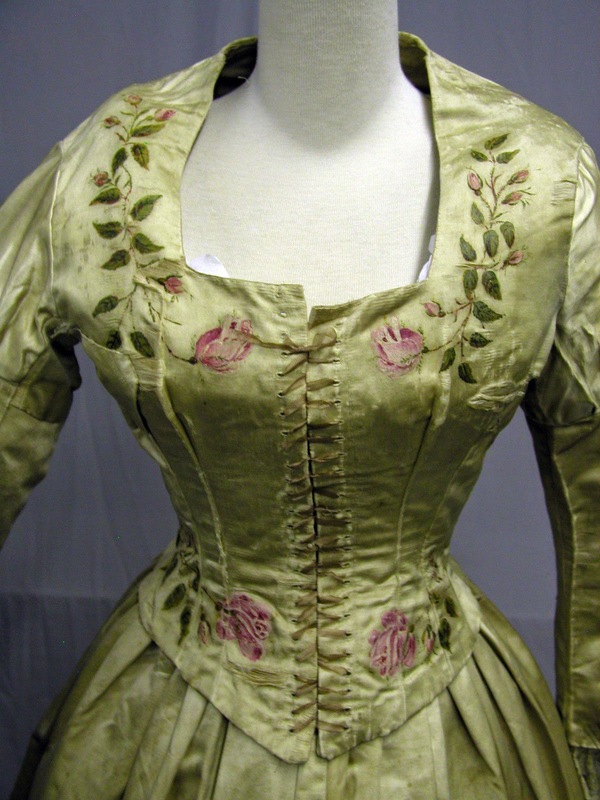 The waist seems slightly raised, meaning towards the early part of the 1870's for this one. Love the watch pocket detail.